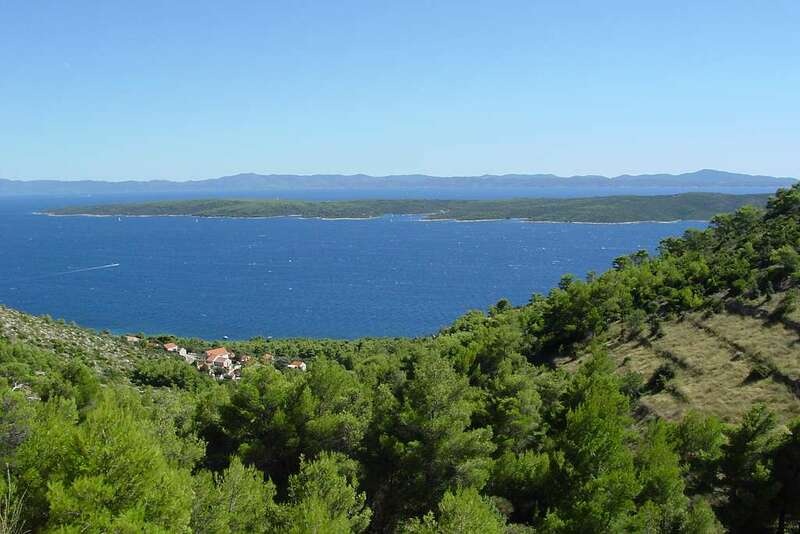 SightseeingCroatia thanks guest reviewer Evelyn Simmonds for this great piece about Scedro Island, a short boat ride from Zavala on Hvar, and only “open” during the season. This almost undiscovered, beautifully unspoiled small island of Scedro, lying less than 3km off the south coast of Hvar in Croatia, is easy to get to by water taxi from Zavala, on the island of Hvar, with boats running every day, and is still almost untouched by tourism – giving a real taste of authentic Croatia for the discerning tourist who will find so much to enjoy here. For tourists who like to get off the beaten track, Scedro is perfect. It’s a protected natural park, with attractive pine woodland and heather covering a large part of the island. One of the jewels of this lovely Adriatic island in Croatia, which visitors can see, is the 15thCDominican monastery at Mostir Cove, together with the 13thCchurch, St. Mary of Charity and fishermens hospice, with some parts dating back to the 11thC. No longer lived in, the monastery was inhabited by monks and nuns until it was abandoned by the last monks in the 1900s. Legend has it that the last monk took off the door to the monastery and used it as a raft to cross to Hvar. The water tank at the monastery still provides all the fresh water for Scedro’s small population (between 3 and 30 people depending on the time of year). The consecration of the church is still celebrated. Less than half an hour’s walk from the monastery taking tourists through the beautiful scenery of Scedro is the main bay of Veli Porat. For more sightseeing, there is a ruined village on the hill and also several Illyrian tumuli to be seen, as well as fragments of a Roman rustic villa which were discovered in the caves at Rake, one of the small bays on Scedro. Some historians think the island was known as Tauris, the scene of the famous maritime battle between the fleets of Caesar and Pompey in 47BC! There are no real roads on Scedro and very few cars, so the tracks that run between bays are usually empty of traffic. Bicycles can be hired to make getting around the island easier, but hiking and walking are favourites to make the most of the stunning scenery. To get a taste of local life the one family which still live on the island almost all year round offer the chance to holiday on Scedro and to get involved in fishing, olive growing, wine making and bee keeping. The leading honey producer from Hvar, who came in the top four at the 2011 Apimondia in Argentina, keeps his hives on Scedro, producing the most wonderful organic rosemary honey.